Why book Fort Lauderdale Airport car rental at VIP Cars? Rent a car at Fort Lauderdale Airport with pricing inclusive of CDW, Theft Waiver, Unlimited Mileage etc. Book a cheap car hire at Fort Lauderdale Airport today! Located just 3 miles away from the Fort Lauderdale City and about 26 miles north of Miami, the Fort Lauderdale-Hollywood International Airport (FLL) is one of the most popular locations for hiring a car in the USA Florida. Travelers in large number rent a car from FLL to explore Florida's southern region as per their own convenience Consisting of 4 major terminals, the airport handles more than 20 million passengers annually, making Fort Lauderdale Airport a busy place all round the year. Car rental at Fort Lauderdale with VIP Cars mean low priced car hire deals to compare & book. Working with a network of leading Florida car rental brands, we present a fine booking portal with a wide fleet of economy, SUVs & sedans to pick from. Where to find your rental car at FLL airport? Fort Lauderdale-Hollywood International Airport houses a large on site Consolidated Rental Car Facility (CRCF). While you can easily walk to the Fort Lauderdale Airport car rental center from the Terminal 1, board a free shuttle service to reach the facility, if you get down at Terminal 2,3, or 4. VIP Cars works with several renowned rental car suppliers in the United States such as, ACE, Alamo Car Hire, Corpusa Rent A Car, Dollar, Enterprise, Europcar, FOX USA, National, Sixt, and Thrifty Tour. While majority of our suppliers operate from the FLL, a few may be located at an off-site location. You'll be provided with an information about the exact location of your rental car supplier as you make an online reservation. 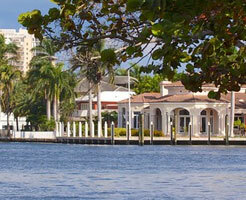 Widely known as 'The Venice of America', Fort Lauderdale is an amazing tourist destination. Settled on the shores of the Pacific Ocean, this South Floridian city offers innumerable scenic locations. Whether you are driving your FLL rental car to a beach area or some other nearby place, you'll experience a great time. Here's a list of some worth mentioning attractions for you to consider as you plan a trip across Fort Lauderdale. 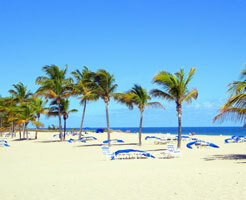 One of the best entertaining beaches of the city, the Fort Lauderdale Beach is dotted with several restaurants, hotels, shops, and designated walking areas for the pedestrians. Besides enjoying a leisurely stroll at the beach, you can also walk toward the beautiful old streets, located not too far away from the seaside. 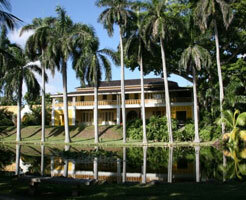 An important landmark, the Bonnet House estate is spread across 36 acres. Comprising of a museum and an elaborated garden, the place is an eclectic mix of ecology, history, architecture, and art. Constructed in 1920 following the designing done by Frederic Clay Bartlett, the Bonnet House will fascinate you with its fine collection of artworks. What used to be a gift from Hugh Taylor Birch to the Floridian residents, it has now become a well-known spot for nature lovers. Covering a vast 1,800 acre, the place consists of the Birch House museum, picnic areas, beach trails, freshwater lagoons, and cycling paths. 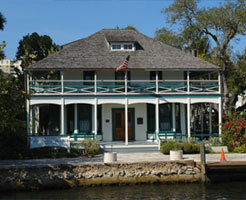 Built in 1901, the Stranahan House was initially the residence of Frank Stranahan, a businessman from Ohio. With massive expansions made into it during subsequent years, the Stranahan House now proudly showcases its tropical gardens, Victorian furniture, and vintage bay windows. 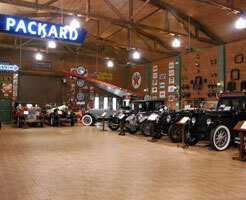 A thoughtful exposition of the history of the Packard Motor Company, the Antique Car Museum was founded by Arthur Stone and his wife Shirley. Besides showcasing old automobile equipment such as, gear shifters and hood ornaments, the museum has a dedicated gallery for former US President Franklin D. Roosevelt. 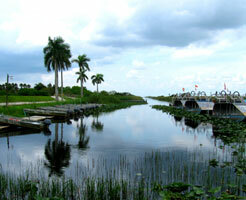 Spread across 29 acres of wetlands, the Everglades Holiday Park was founded in 1983. A major theme park as well as a wildlife reserve, the park is famous for its air-boat rides, fishing, and live educational shows. A three-storied building with a distinctively attractive facade, the Museum of Art showcases a wide range of exquisite collection. 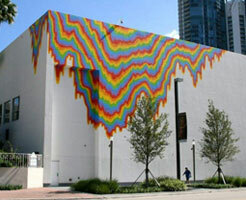 The museum features a rare selection of exhibitions on several renowned artists. You can also enjoy an insightful educational program conducted by the museum's authorities. Interested in a road trip through Florida? A low priced rental car from FLL Airport and the US' southernmost point are the two perfect ingredients required to plan a delightful road trip from Fort Lauderdale. 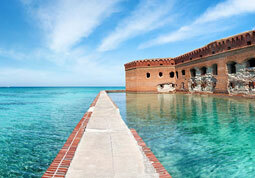 We present you a list of the most popular road trips originating from Fort Lauderdale. One of the oldest cities of Georgia, Savannah is popular among tourists for its cobblestone streets, historic structures, and a bustling downtown area. As you start driving on your route to Savannah, you will cross Boynton Beach, St. Sebastian River State Park, and Daytona Beach on your way. As your final destination, Savannah, roughly covers 110 sq miles, a FLL rental car comes handy to drive around all the worth seeing places scattered across Savannah. 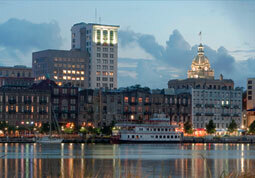 The largest city of USA South Carolina, Charleston is settled on the Charleston Harbor. Famed for its architectural heritage and classic restaurants, the place attracts thousands of tourists every year. 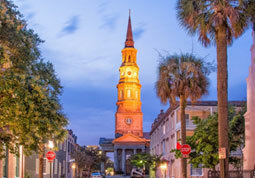 Comprising of six major areas, Charleston is a fairly large city with plentiful of touristy places, again, justifying the utility of your car hire from FLL. Known for its water sporting events, vibrant nightlife, beautiful beaches, and notable historic sites, Key West is one of the best places one can visit as a lone traveler or with a family or friends. The place offers ample walking opportunities as walking tour remains the most ideal way to admire the wealth of intriguing landscapes of this island. Plethora of attractions, coupled with temperate weather, make Miami a worth considering option as you plan a road trip in your FLL rental car. 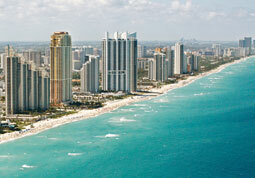 Be it a beautiful beach side or happening downtown area, Miami offers plenty of spectacular sights to discover. Right from pristine beaches to heritage museums and an array of dinning and shopping spaces, Miami is replete with sightseeing options. Don't forget that you will find your pre-booked rental car for FLL at the Rental Car Center(RCC) located near Terminal 1. As Fort Lauderdale-Hollywood International Airport is surrounded by number of freeways, paying a little extra for a GPS system will help you to navigate easily. Hire a car for FLL that comes equipped with air-conditioning to stay cool in otherwise considerably warmer climate of Florida. Book a rental car for Fort Lauderdale Airport as early as possible due to Florida's all-weather tourist rush.